On Friday, October 27th, 2017 during the second annual Clays for CASA fundraiser at the Limestone Hunting Preserve an exciting announcement was made for the upcoming year. 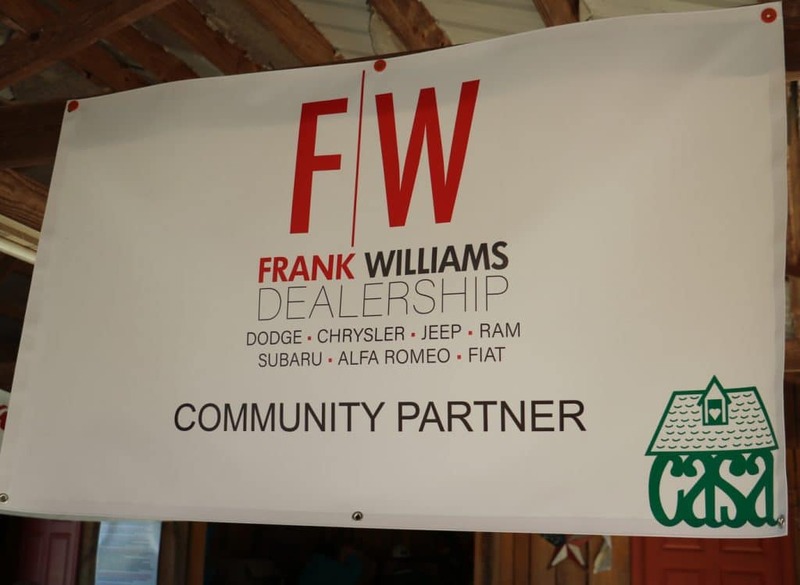 The Care Assurance System for the Aging and Homebound (CASA) of Madison County was honored to announce their 2018 community partnership with the Frank Williams Dealerships. The partnership will go a long way to further CASA of Madison County’s mission to care for our aging and homebound neighbors, helping them remain safe and independent in their homes as they age in place by helping make connections and reaching those who do not know about the great works of the organization. In addition to fundraisers like Clays for CASA, “partnerships with local businesses and organizations, mean so much to our organization and will give us the ability to educate and help more in our community than ever before,” says Ann Anderson, CASA of Madison County’s Executive Director. CASA sees 2018 as a year of great opportunities to inform our local community about Madison County’s homebound and aging population. CASA has been a part of our Madison County community since 1979, and they continue to provide services to these often-forgotten members of our neighborhoods. You can get involved with CASA’s mission too by volunteering or donating. Simply visit www.casamadisoncty.org to get started.